Surfing Surgeon Stuck in the Sand: A new month... and more team members! A new month... and more team members! Hey all! It's April! One month closer to home! Today, I'm going to do two posts in an effort to keep up the pace in getting you all acquainted with the team. I can't say enough times, how grateful I am for what an amazing group of people we have here. 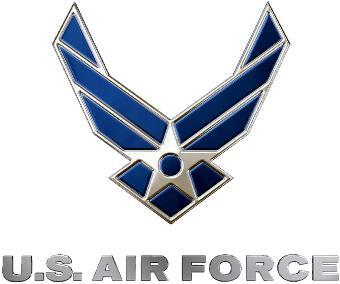 Today, I'm going to feature two of our Air Force colleagues; MSgt McElvaney and 1st LT Sommerville. Even though they are chAir Force, we're lucky to have them on the team! MSgt McElvaney (Mac for short) is our second most senior enlisted member and brings a wealth of information, experience and leadership to our group. He bleeds orange and blue and is a great all around guy to have on the team. He likes long walks on the beach and... well, never mind... here we go! SSSS: What’s your full name? I don’t know. The old team did it. SSSS: Where were you born? SSSS: Is that a real place? Yes. It’s a real place. SSSS: How long have you been in the military? SSSS: What’s food do you miss most being here on the FOB? SSSS: What’s your favorite food that they serve here? SSSS: Any food that you absolutely won’t eat? SSSS: What’s your favorite movie of all time? SSSS: Team Edward or Team Jacob? SSSS: Star Wars or Star Trek? SSSS: If you could teleport from here to anywhere in the world for 6 hours where would you go? SSSS: Lowenbrau, Becks, St Pauli, or O’Douls? SSSS: Are you a little bit country or a little bit rock-n-roll? SSSS: Did you get that last reference? SSSS: What’s your favorite thing you’ve gotten in a care package? SSSS: Is that really your favorite thing or is it just the best one you can mention? SSSS: What message do you want to share with everyone reading? Don’t have one… Oh the Air Force is real… and we do deploy! Solid work, Mac! Now, on to 1st LT Sommerville! Ms. Sommerville is one of the amazing nurses we have here at the FST. She makes sure our blood supply is what it should be and takes incredible care of the patients we see. She NEVER disturbs the surgeons at night and ALWAYS has a smile on her face! LT Sommerville is another example of how our team consists of only the cream of the crop! Always liked the character… I like cartoons! Mount Holly New Jersey. I'm an Air Force kid. My Dad was in aircraft maintenance at McGuire AFB. One. A heart that says "Always"
SSSS: (GASP!) What about biscuits and gravy? No! White gravy is unnatural… that’s nasty. Team Jacob. Cuz he’s a real wolf! I think he’s cute. He seems stronger. It’s so hard to say…. Briefs? I would go to Mexico… Cancun! Lotion. Smelly lotion…. I like that…. Live life to the fullest. Live every day like your last. I love these posts. If all she wants is air heads someone needs to make that happen! Nikki Tucker and Tucking Into Steaks!